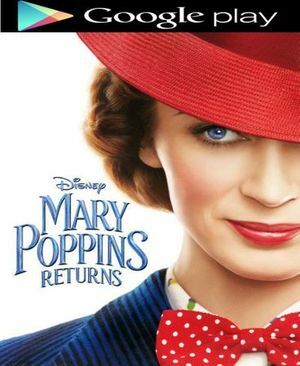 Digital UltraViolet and Digital Copy will makes it possible for you to stream the movie Mary Poppins Returns 2018 HD Google Play Code instantly to your computer and compatible Smartphones, Andriod, iphone, iPod Touch, iPad and tablets devices anytime, anywhere. You can also download a Digital UltraViolet Copy or a Digital Copy of the movie Mary Poppins Returns 2018 HD Google Play Code to your computer and compatible devices. Disney's all-new sequel celebrates the spirit of the original classic with a fresh sensibility. Mary Poppins (Emily Blunt) is back to help the next generation of the Banks family find the joy and wonder missing in their lives. The practically perfect nanny with unique magical skills can turn any task into a fantastic, unforgettable adventure, along with her friend Jack (Lin-Manuel Miranda), an optimistic street lamplighter who helps bring light--and life--to the streets of London!